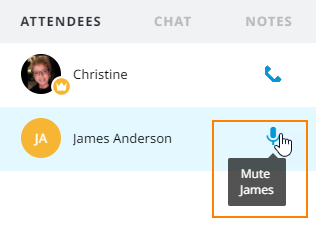 Important: Attendees will un mute themselves. 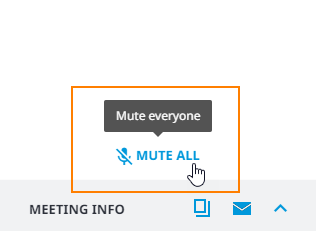 You will not be able to unmute them. 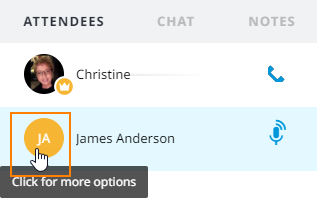 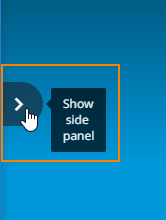 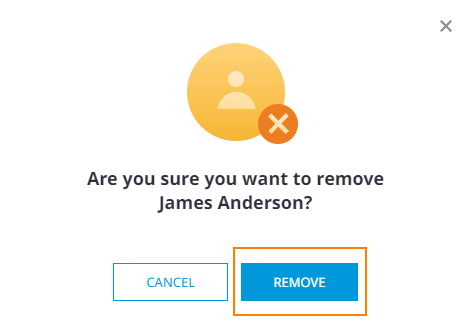 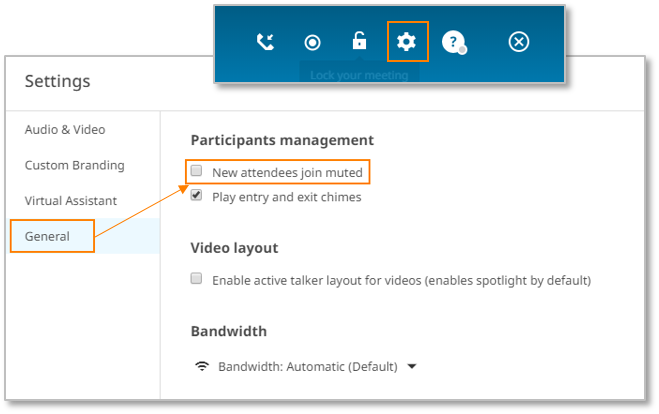 To have all subsequent attendees join muted, check the New attendees join muted box. 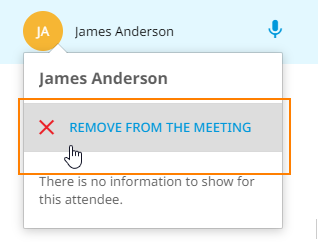 The attendee will receive the following notification about being removed from from the metting.